As parents, we all want our children to grow up to be independent adults. Yet many of us are inadvertently making our children dependent on us, leading to a rather rocky transition to adulthood. Fortunately, you can make a few simple choices to help your child become more self-reliant. You want your child to become independent, but that doesn’t mean you should immediately hand them major tasks to do for themselves. For example, you might let your child make toast, but they are likely not ready to start making omelettes. Start with small tasks that they can use to set the foundation for bigger projects. Remember, a thousand-mile journey begins with one simple step. It may help you to write down small opportunities for independence you may not have used before, such as making your child responsible for brushing their teeth and dressing themselves. Much of children’s lives are dictated by their parents. This is not a bad thing, as this ensures a child’s safety and well-being. However, this doesn’t mean that they cannot make certain decisions for themselves, and in fact, it’s important that they do. When they are in preschool, let them choose between two cups to use, two snacks to have, and two shirts to wear. As they get older and develop the ability to make judgments, they will be prepared to make larger decisions, such as what extracurricular activities to become involved with and when to schedule playdates. Parents often want to help their child to become independent, but end up helping with tasks in order to save time. Most have had those rushed mornings when they want to give their child a learning opportunity, such as letting them get dressed themselves, but when running late, it’s easier to dress your child. Once and awhile, this is understandable — no one is perfect. But if you are repeatedly doing things for your child that they could do themselves, you are creating what is called “learned helplessness,” and this will make it harder for them not to depend on you as they get older. This means it is worth it to allow more time for your child to do things for themselves, even if it takes longer. Try setting the alarm for 10 minutes earlier so you can have a buffer for when they’re stalling and dragging their feet. Once you realize all the areas your child could grow, you may be eager to start incorporating greater independence in all areas of their life. But too much responsibility too soon will only serve to overwhelm them. Choose one task to focus on at a time, and once they are feeling confident about it, you can move onto the next. Routine is important for children. It provides the predictability and consistency they need to feel safe to explore and allows them a sense of control over their lives. Within a routine, it is much easier for a child to become more independent because they know what to anticipate. 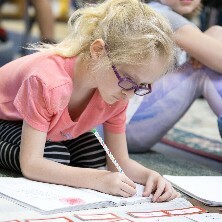 Things will come up from time to time, but prioritize fitting a routine as closely as possible, and when things do need to change, communicating that clearly to your child. It’s hard to see your child struggle, so when you see them spill something, make a mistake, or face a difficult challenge, it can be tempting to swoop in as their superhero and fix it. This is not sustainable for them, because as they get older and have to do more things on their own, they will continue to turn to you for help with things they are perfectly capable of doing themselves. Let go of the need to jump in every time your child fails; give them the opportunity to learn from the experience. You can step in when they are truly lost, but give them the time to think of a solution for themselves before just handing them one. Your child may be too young to accomplish a certain task entirely by themselves, but that doesn’t mean it can’t be a teaching opportunity that fosters independence. You can do some prep work to make tasks they perform independently easier. For example, you can leave out a small pitcher of milk, a bowl, and a box of cereal for your young child so they can prepare breakfast for themselves while still receiving some help. As your child gets older, you can continue to do this, but adapt it according to their skills. For example, you can make sure you have healthy ingredients on hand for your teen to use to make their own dinner. 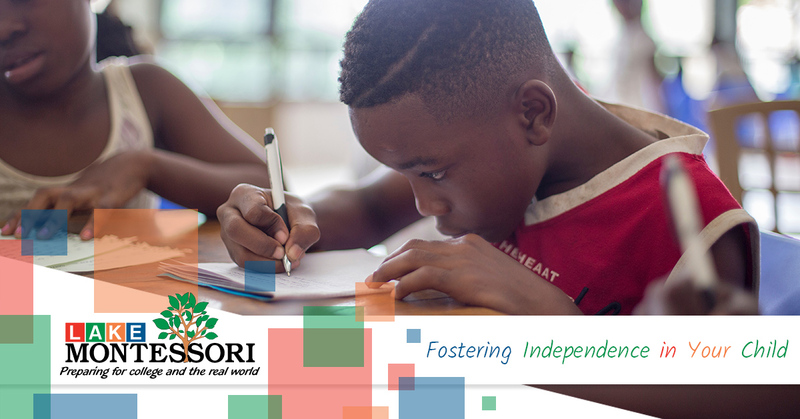 Independence is one of the central principles of the Montessori method. This educational approach focuses on aiding children in their self-development by offering them a safe environment to explore with curiosity. Through this process, children get in touch with their inner selves, fostering an independent mindset that serves them throughout their lives. 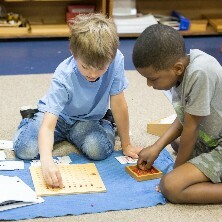 If you’re interested in learning more about our Montessori school in Leesburg, contact us!